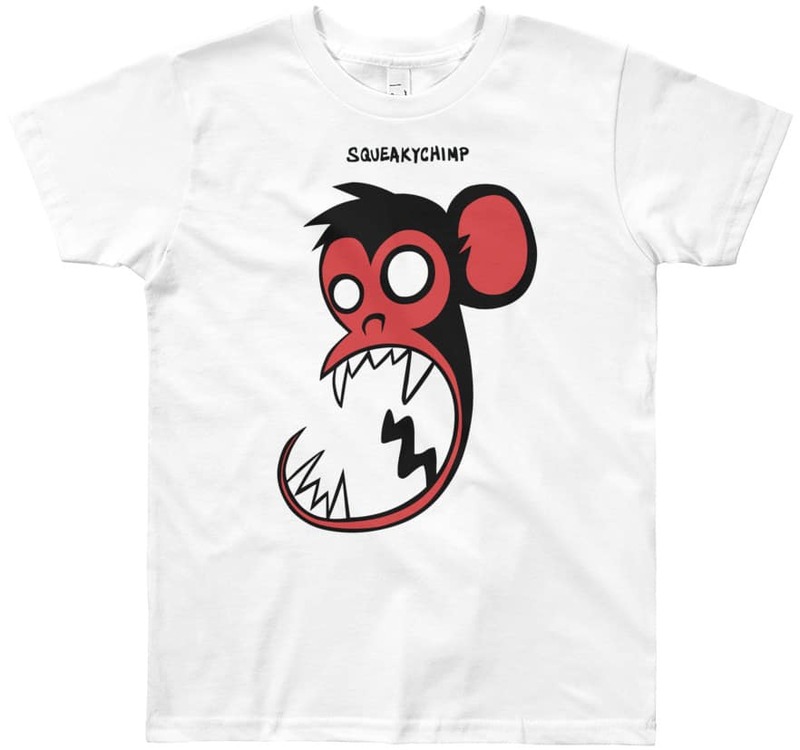 Cool designer kids chimpanzee tshirt by Squeaky Chimp. Perfect for the little monkeys! Super cool monkey tee is lightweight & comfortable, made of 100% cotton.